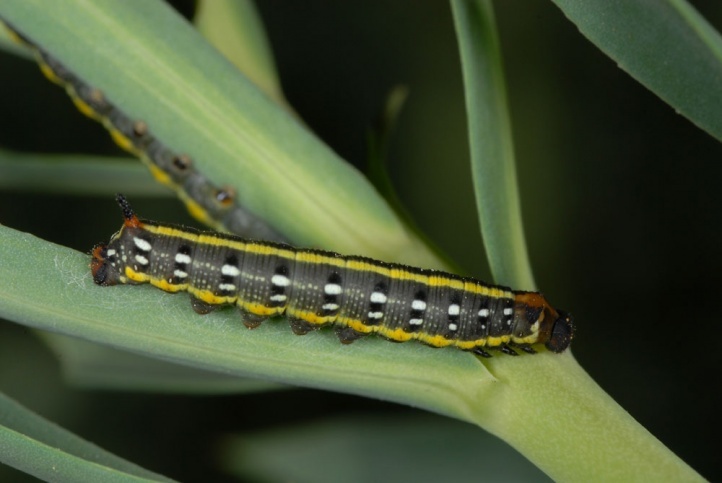 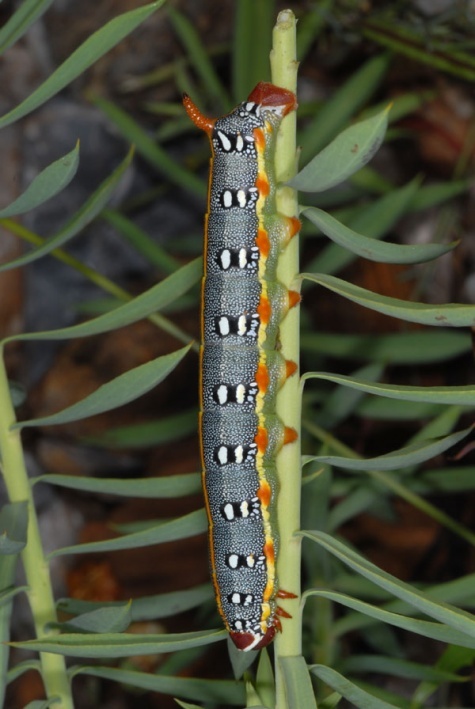 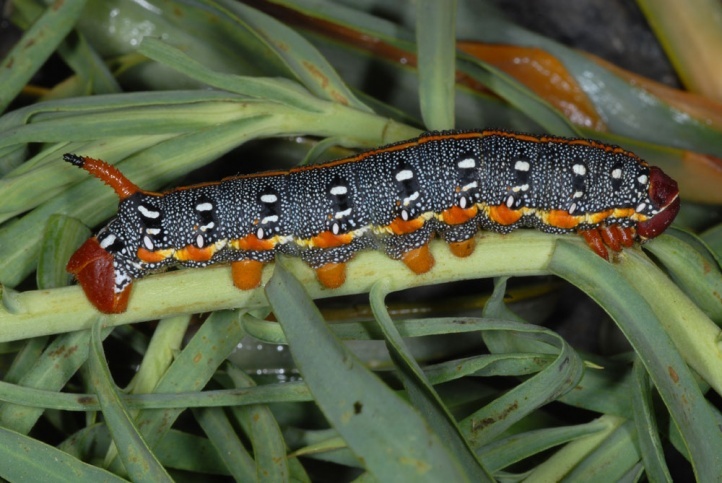 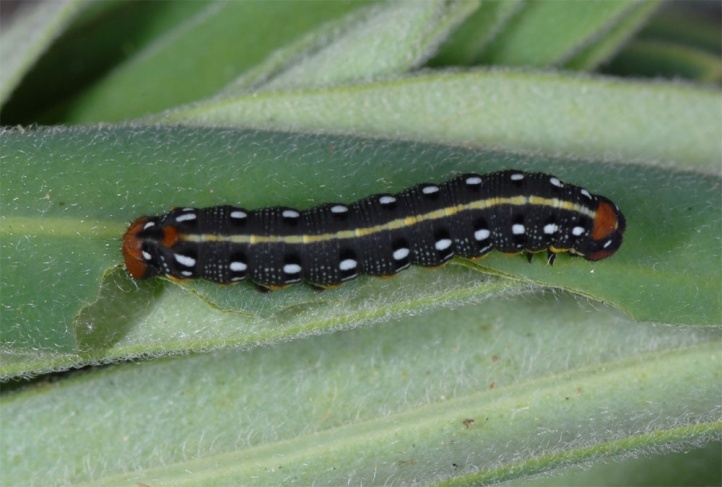 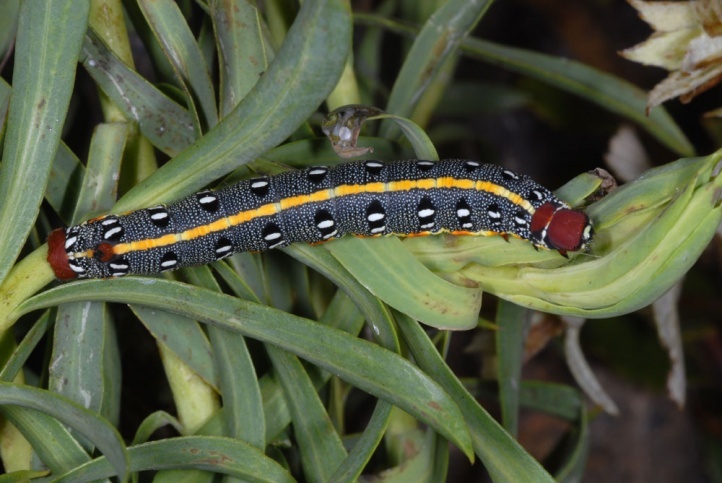 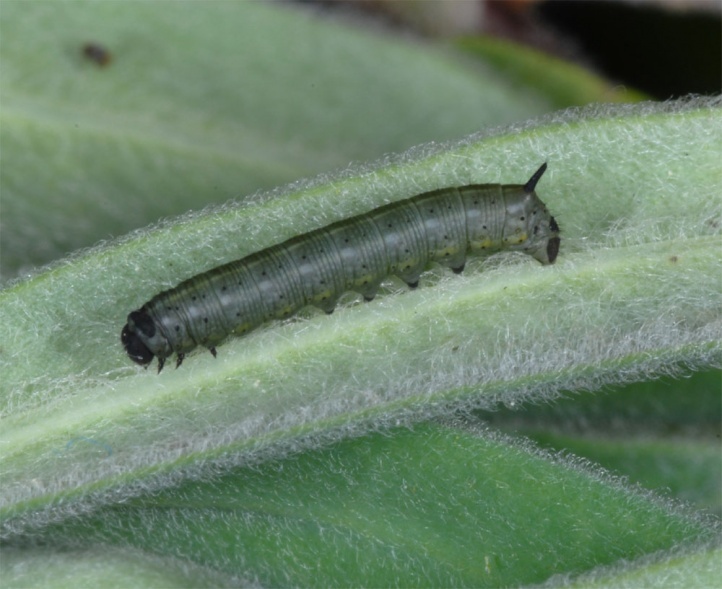 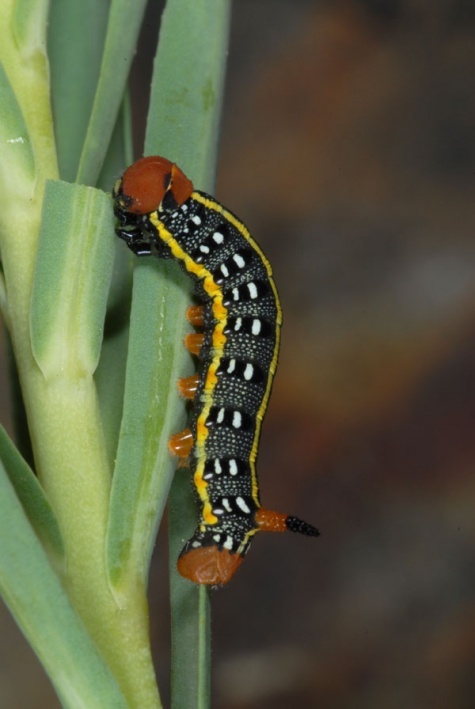 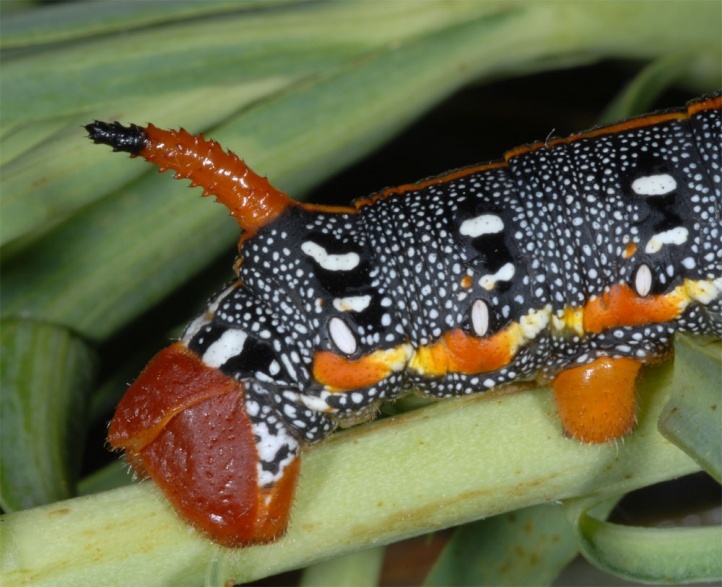 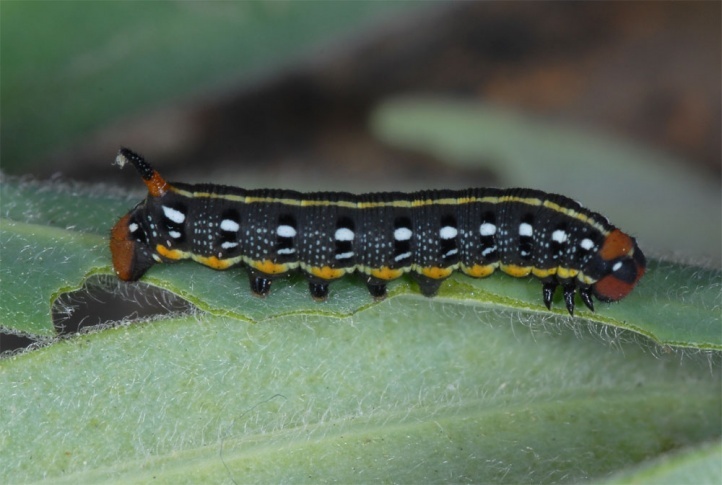 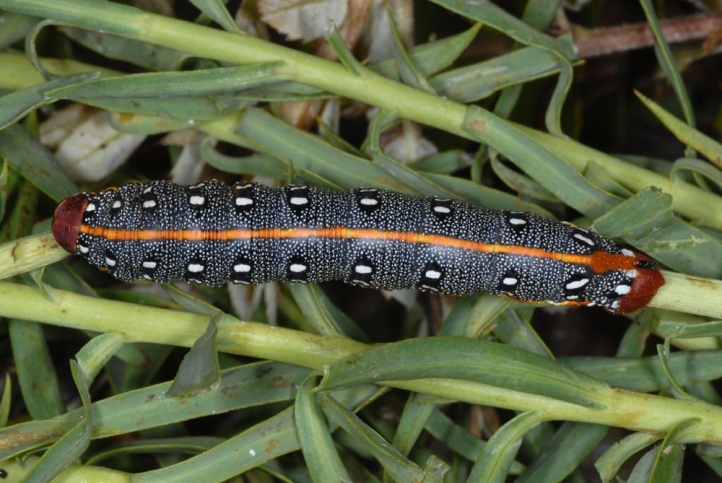 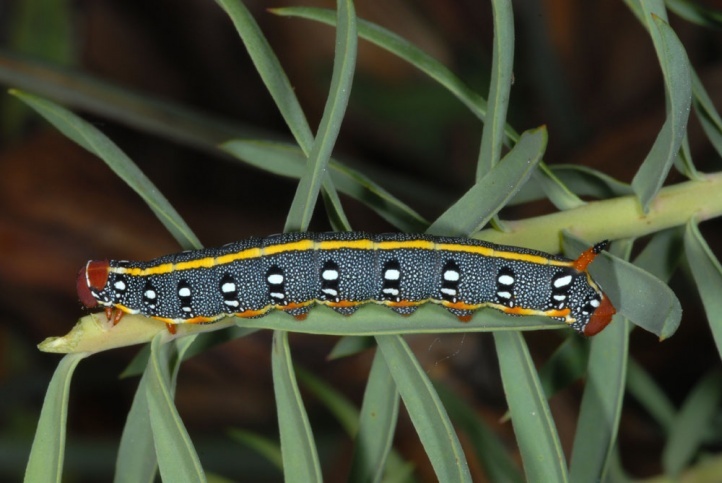 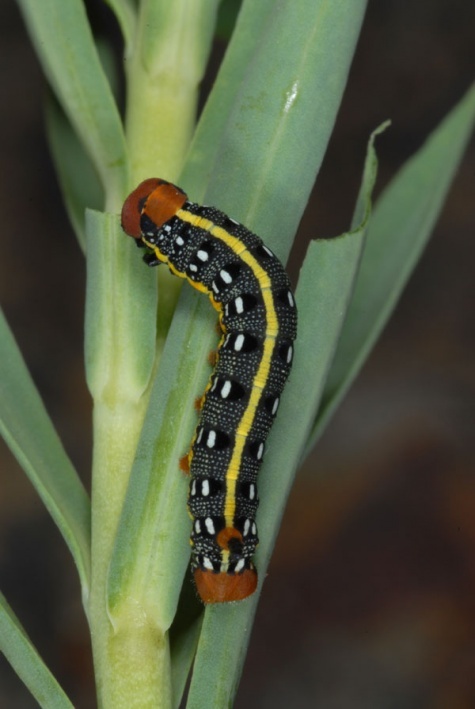 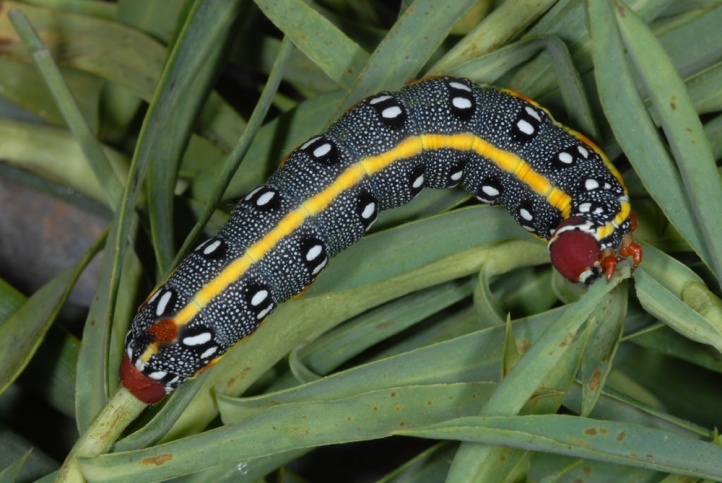 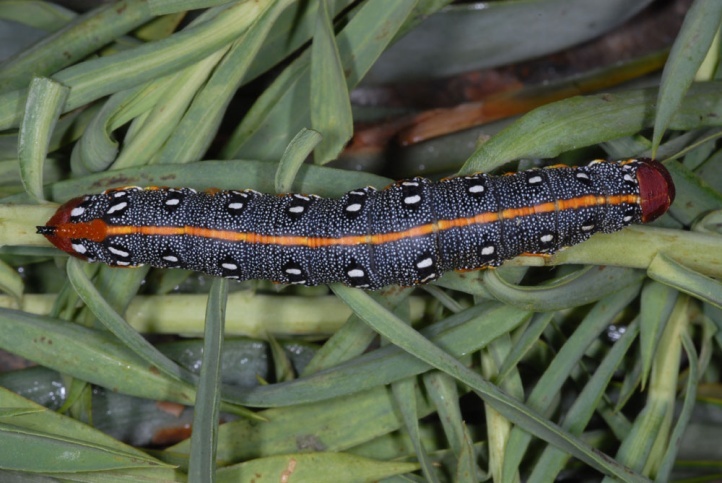 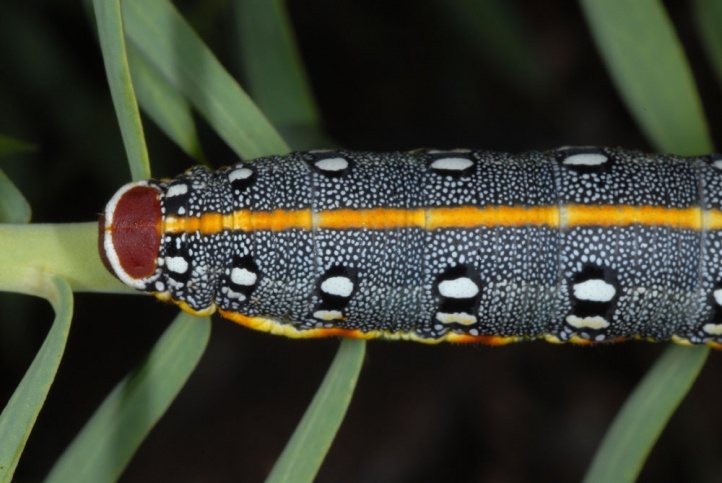 The caterpillar lives on Euphorbia species such as Euphorbia characias, E. exigua or E. dendroides. 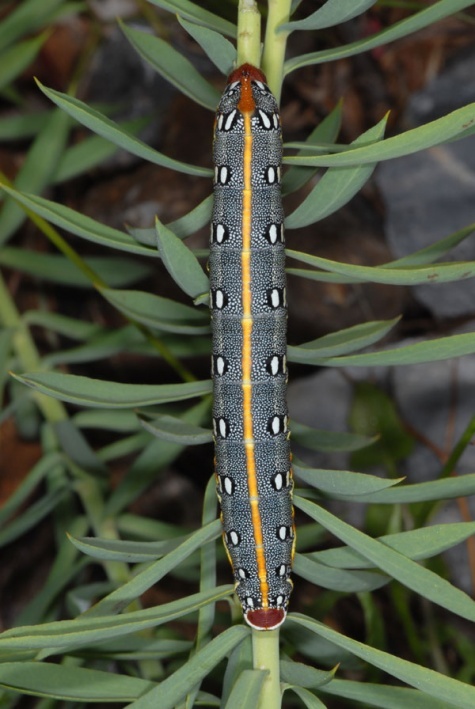 Hyles dahlii colonizes open to semi-open landscapes from the coast to central mountain ranges. 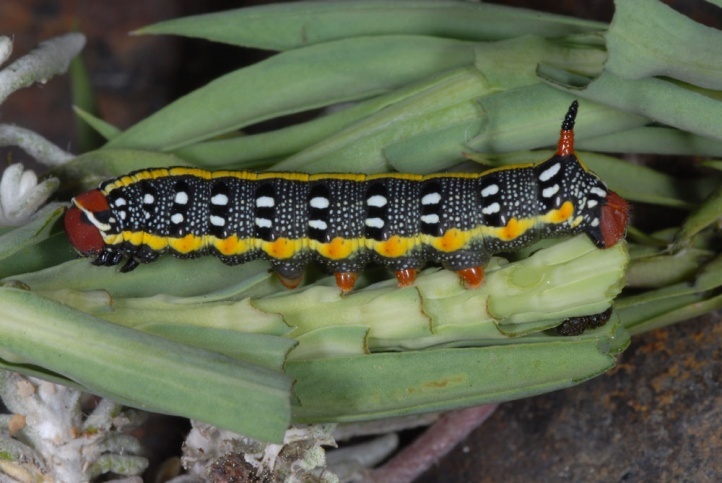 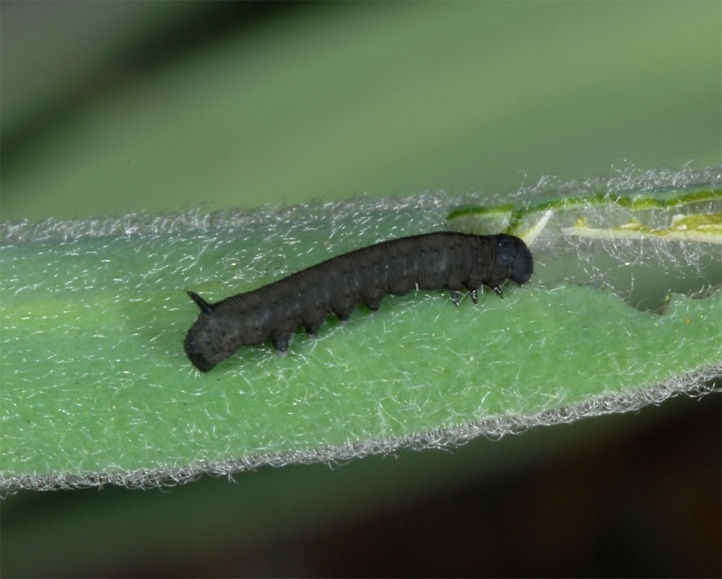 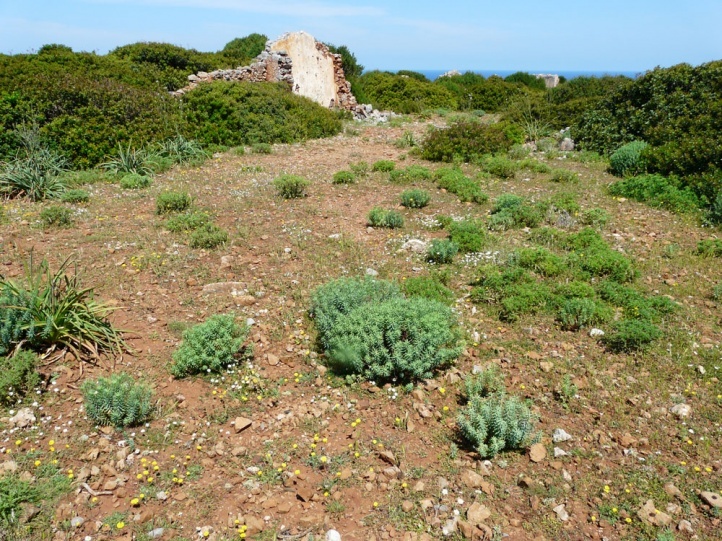 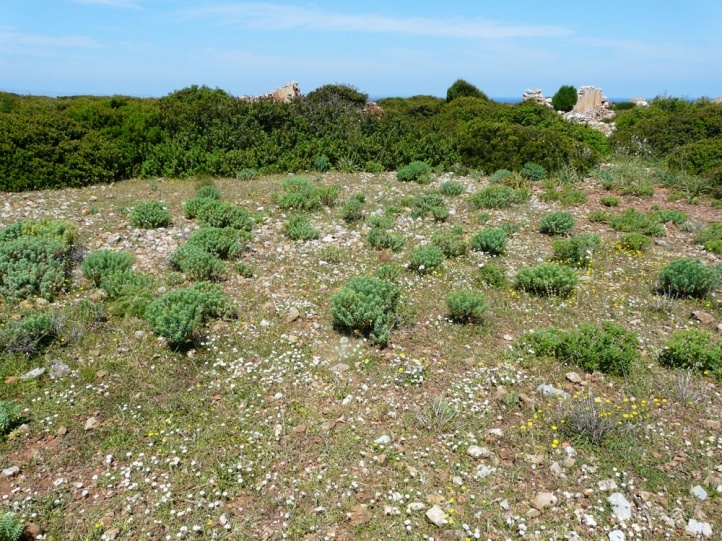 I found the eggs and caterpillars in Sardinia in May 2012, both in sand dunes and in maquis, on burnt area and 1000m above sea level on mountain slopes. 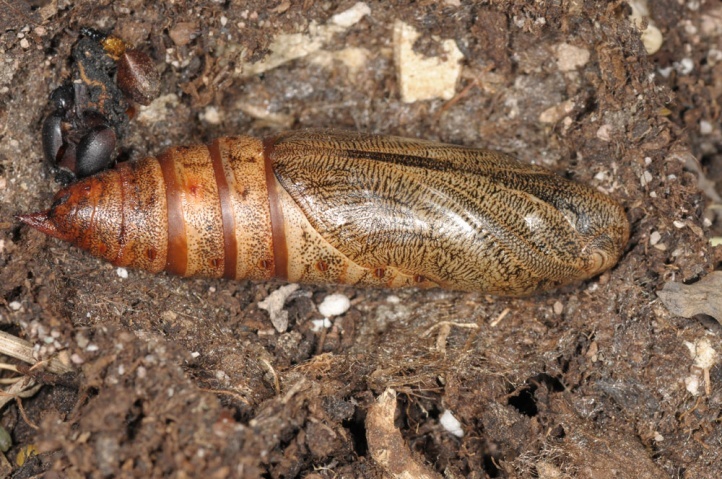 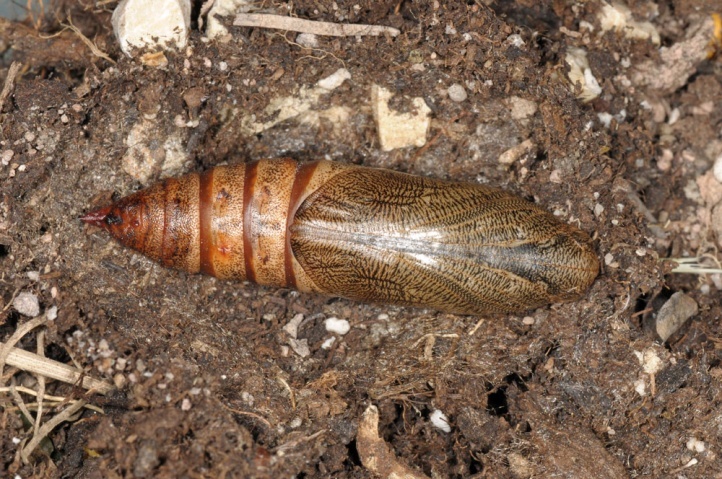 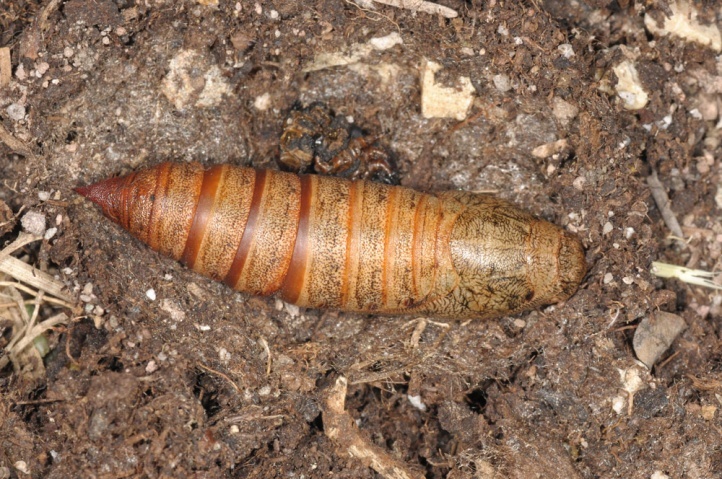 The pupa hibernates and the moths fly in 2 to 3 generations (only the first is expected to be complete) from April to September/October. 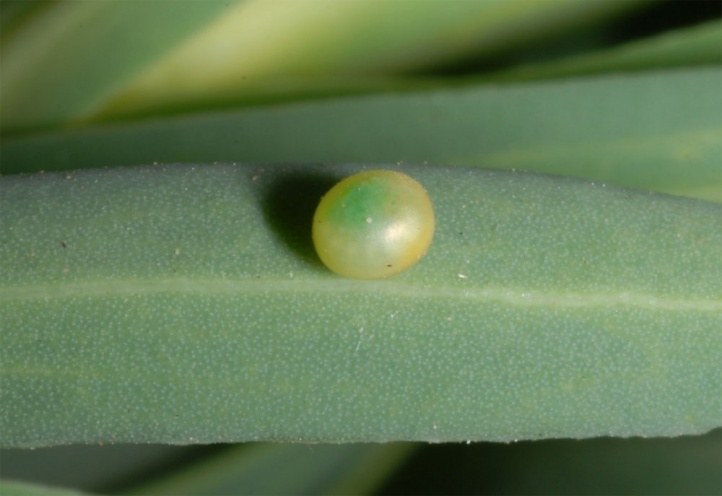 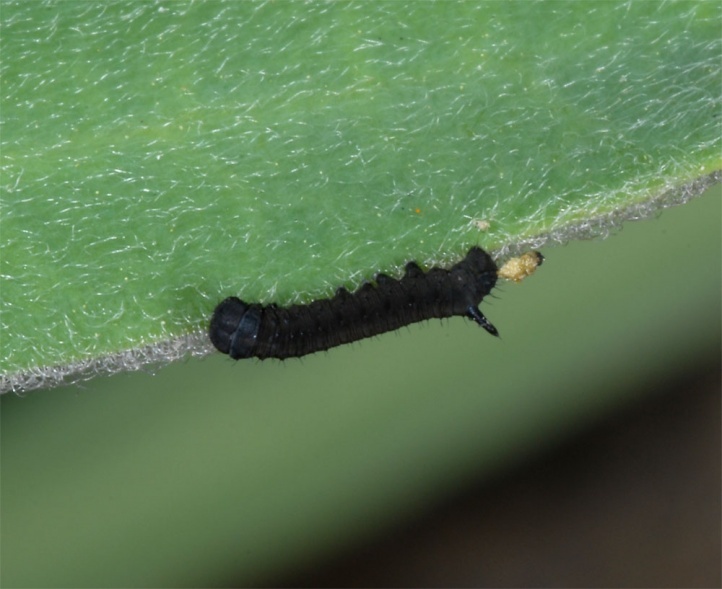 The eggs are usually laid on the underside of leaves of Euphorbia, where the young caterpillars live. 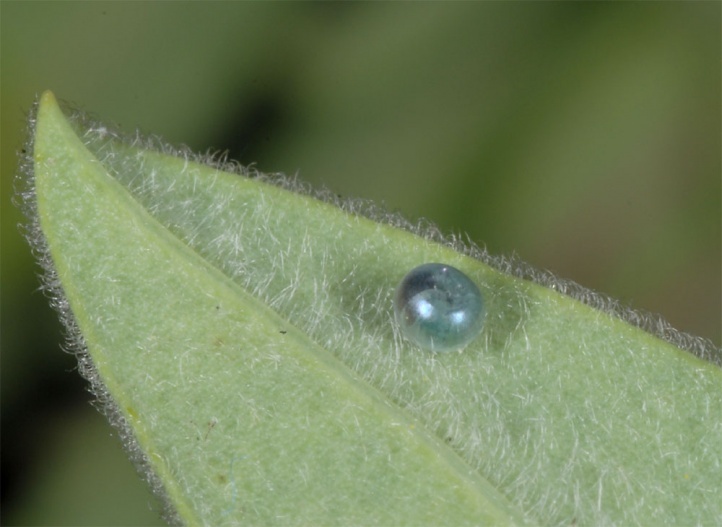 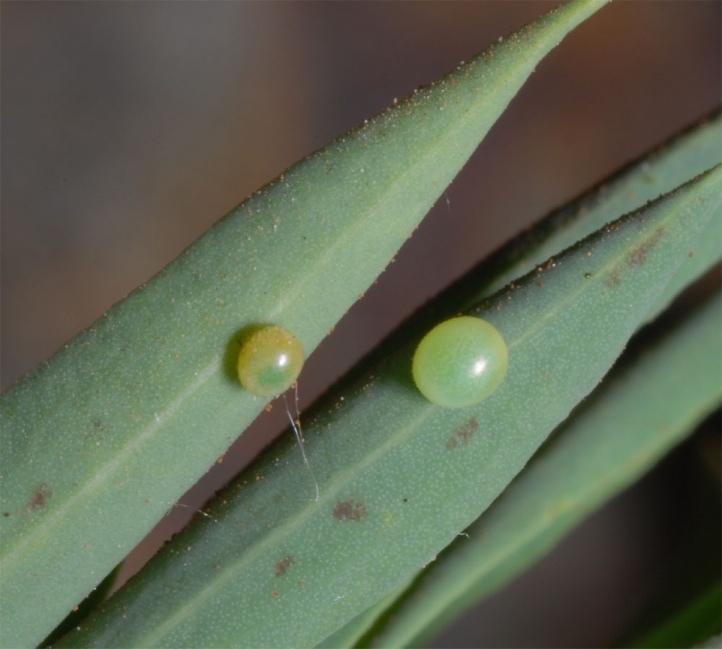 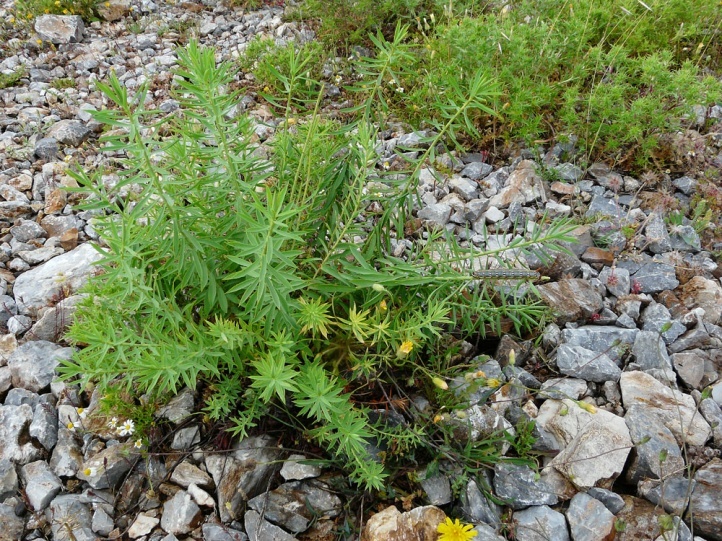 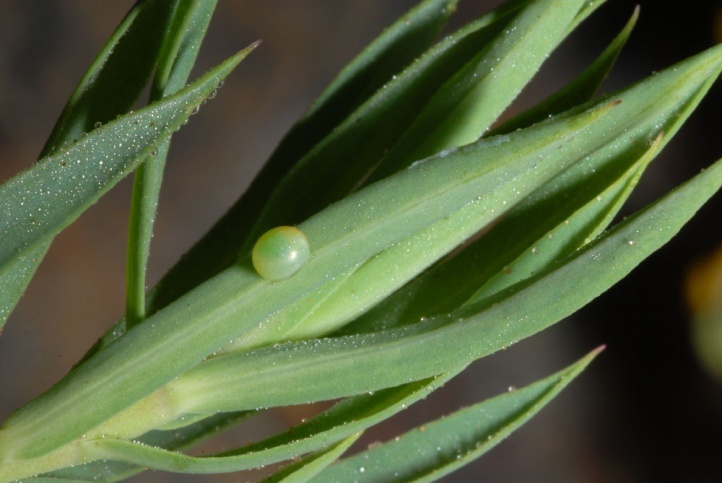 I always found the eggs singly on the leaves, although sometimes several have been observed at the same Euphorbia plant. 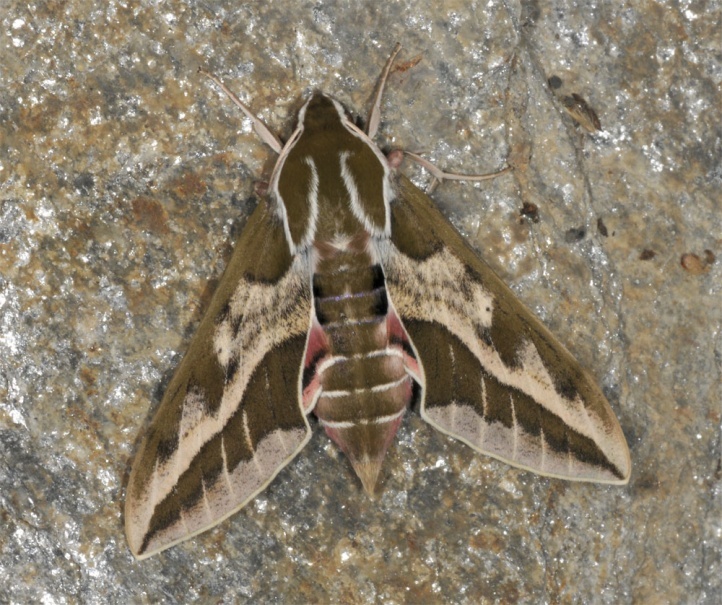 A deposition in groups as it occasionally occurs in Hyles tithymali and related species seems not to occur. 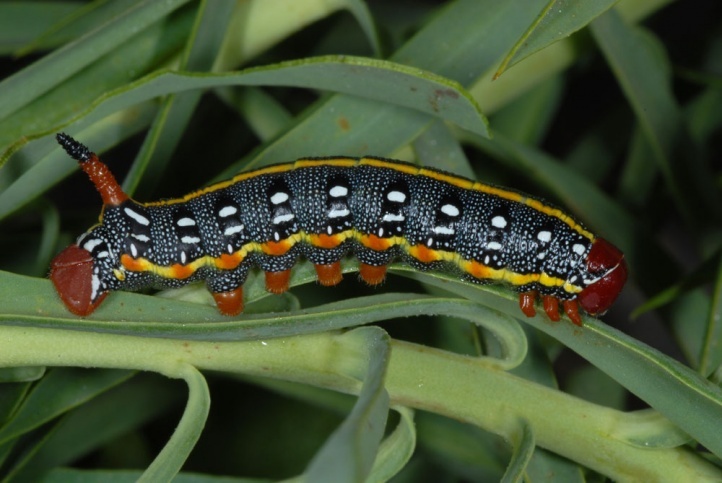 The older caterpillars betray themseves by the defoliated shoots. 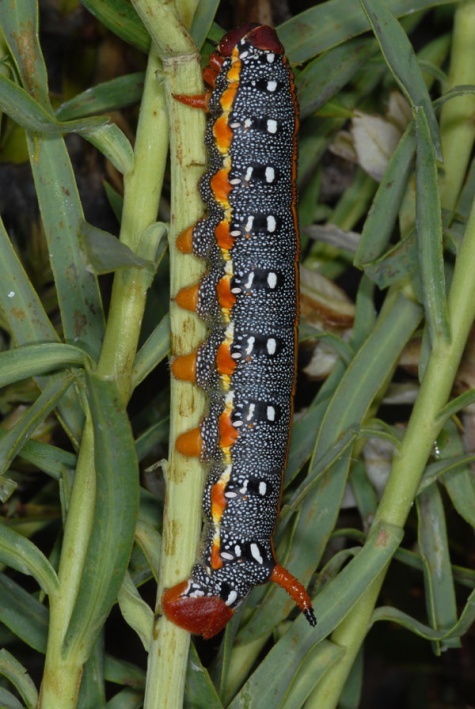 Hyles dahlii is quite common and not endangered at the moment. 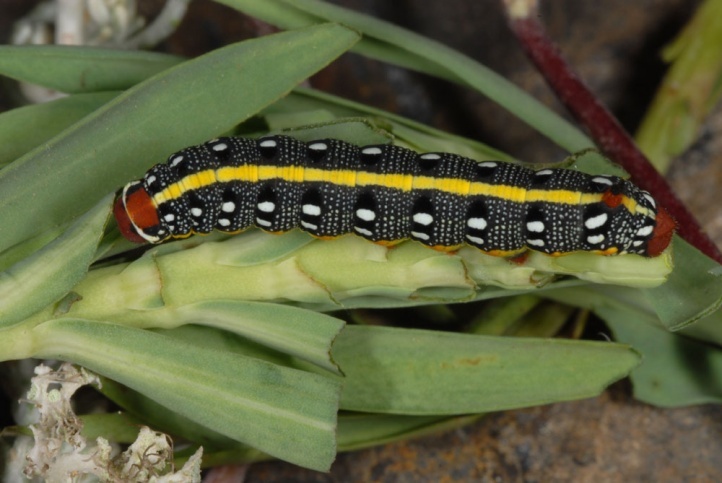 Hyles dahlii is endemic to some of the islands of the western Mediterranean (Corsica, Sardinia, the Balearic Islands). 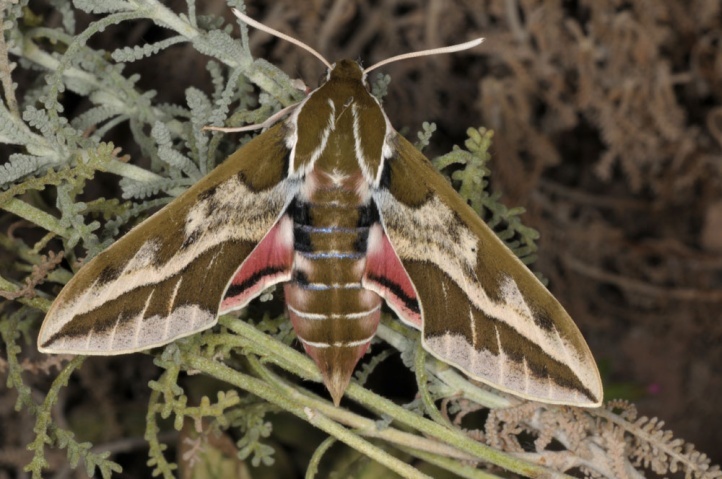 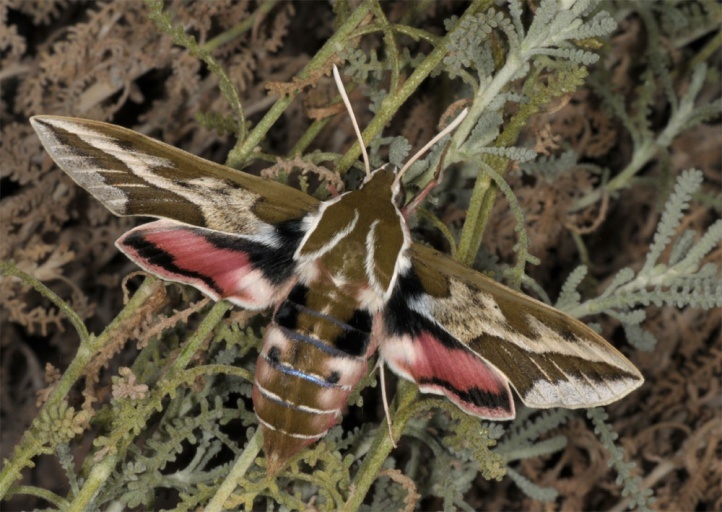 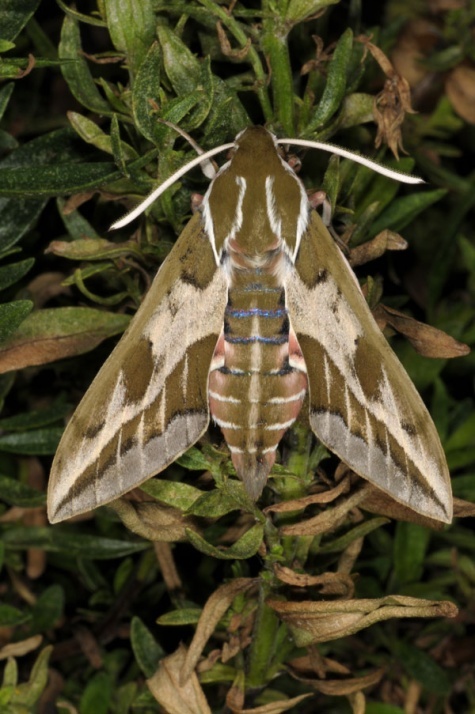 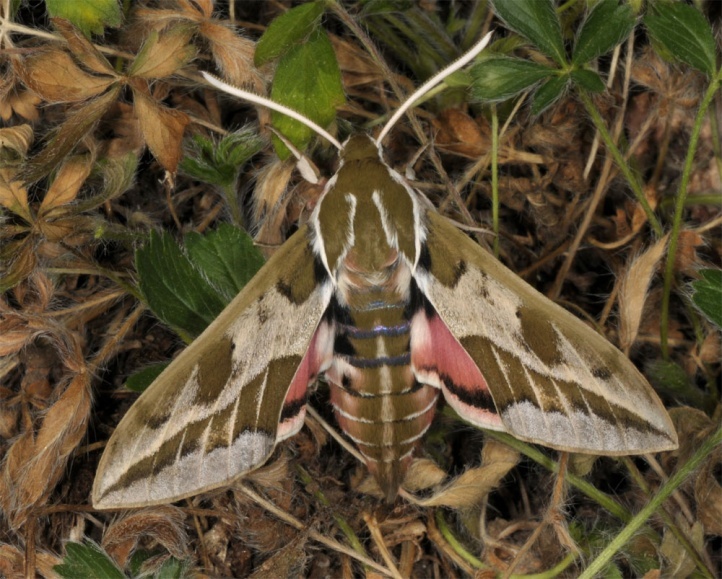 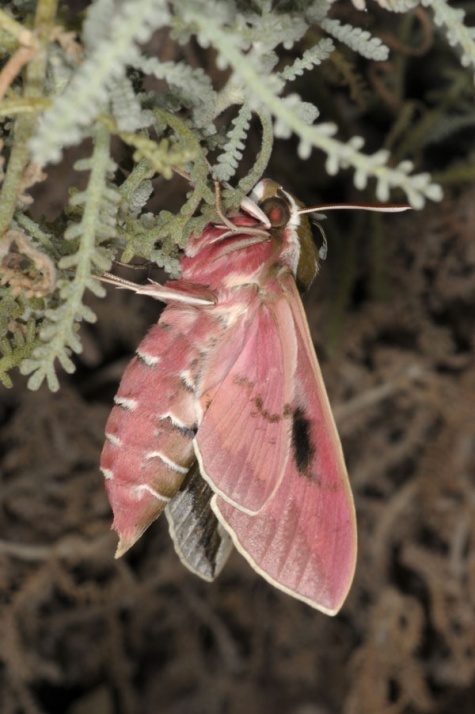 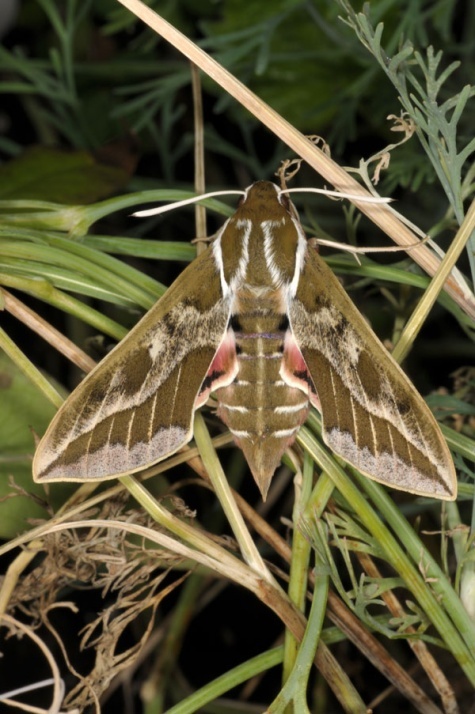 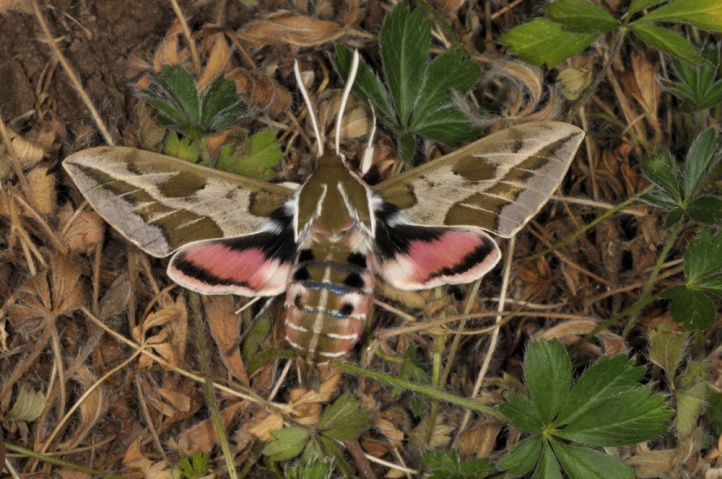 Some moths and occasional temporary colonies can be observed occasionally on the mainland (e.g. 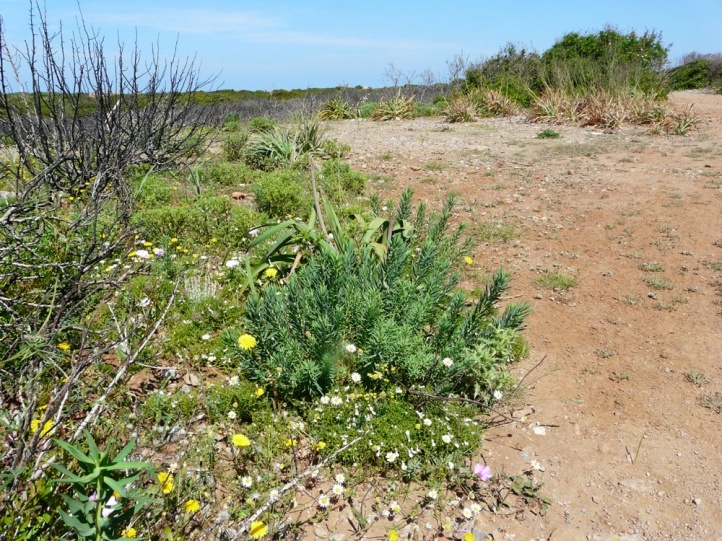 the Catalan coast).